IMPRESS YOUR VALENTINE! From the stables of Apostek, we bring you the latest love potion to hit the Android market. 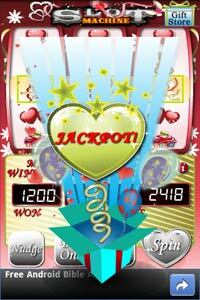 Experience the magic of top ranked 'Slot Machine' in a brand new Valentine's Day avatar!